When it comes to protecting a home, there are a lot of different things a homeowner can do in order to get it right. They should have a security system, for example, but that’s more than just a door sensor and a keypad. There are problems that can occur that have nothing to do with people trying to break in — and one of those problems is carbon monoxide. Some people have no idea how to detect carbon monoxide in their home. Having a detector for this is a good choice, even for homeowners who have all-electric houses. That’s because it’s possible for carbon monoxide to seep in from other sources, and without a detector a homeowner won’t know there’s a problem. There are battery powered and hardwired detectors, including those that can be tied into a security system in order to be monitored just like door and window sensors. When these devices are tied into the system, the homeowner can have further peace of mind. They’ll know they are protected, and if they have a family living there, they’ll worry a little bit less about the health or safety of their loved ones, too. Carbon monoxide is a colorless and odorless gas. It’s produced from things like car exhaust, fires, and similar means. But because it doesn’t have a smell and a homeowner can’t see it, they won’t know it’s in the house without a detector. A lot of homeowners with natural gas appliances have these detectors, and some states make it a law that a house can’t be sold without one of these detectors installed. With that in mind, homeowner buys these detectors but don’t really pay that much attention to them. 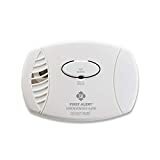 Nobody really expects to have a problem with carbon monoxide in their home, until it happens to them and tragedy strikes. That tragedy can easily be avoided, too, with a simple detector that only costs a few dollars. 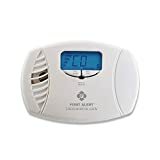 For homeowners who have a security system it’s a great idea to tie these devices in — but keep in mind that the average lifespan of a carbon monoxide detector is five to seven years, although some companies say their alarms last for 10 and come with end-of-life warnings, so they should be replaced at that time. It’s much better to replace them on the low end of that lifespan and be safe, instead of waiting and potentially losing their effectiveness. With the right carbon monoxide detector, a homeowner should have a flashing green or flashing red light (depending on the make and model). Flashing orange indicates a problem, and a solid light is also an issue. These detectors, when tied into a security system, will alert the homeowner and the security company if there’s something wrong. 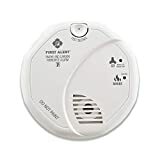 They omit a high-pitched, shrill alarm if they detect dangerous levels of carbon monoxide, so the homeowner knows to leave the area. These detectors are very sensitive, so homeowners can trust that they’ll be warned if the CO2 level in their home starts to become dangerous. Would a New Security Company be the Right Choice? With all of those things offered to the homeowner, it’s possible to find a system and a CO2 detector that’s really going to add to peace of mind.